Rachel, 24. Just a book blogger trying to share her bookish world. Lover of YA and fantasy/SciFi. I received an e-copy of this book from the publisher for an honest review, which will follow. 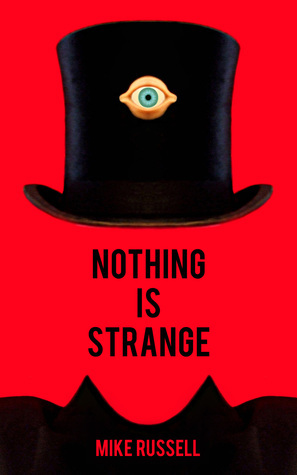 This book is definitely not normal, as you might think from the title 'Nothing is Strange'. EVERYTHING is strange in this book, and that's what I loved about it. There are so many weird and wonderful stories in this book, and I loved so many of them. There were actually some that when I read them I really wished they were longer, and made into their own books because they fascinated me so much. A couple of my favourites were: Escape from the Bustcher's Shop, The Living Crown, and my favourite (one I wish was made into a full story) is The Diaries of Sun City. Also, I'll just say these were definitely short stories, perfect for short travels. I loved that I could read one or two on a short train journey and then not have to wonder about what would happen because I managed to finish them before I had to get off at my stop. I'm actually really starting to love short story compilations, and this one was definitely a great one because I thought they were weird and strange, just like me! I give this book 4 cats! Do you like short stories? Have you read these? Comment below!